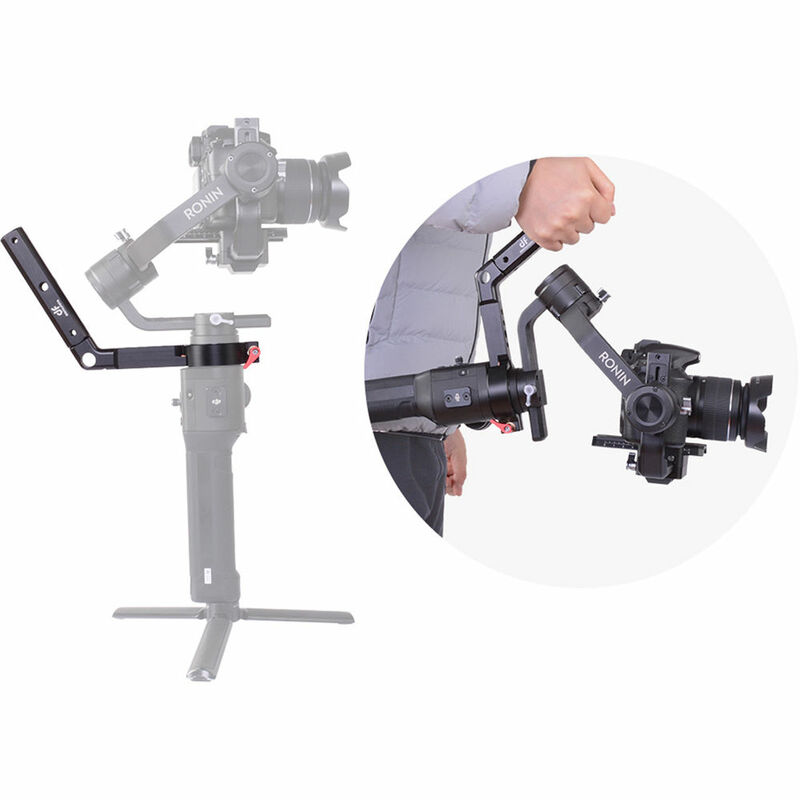 The TERMINATOR Handle from DigitalFoto is designed to add a sturdy extension handle and a strap to your DJI Ronin-S gimbal for easier operation. The angled metal handle attaches around the main Ronin-S handle with a thumbscrew. The main handle grip features multiple 1/4"-20 and 3/8"-16 mounting threads to add accessories such as a monitor, microphone, or light. The padded, adjustable shoulder strap clips into holes on the handle to help take the weight off your arms. You can even operate hands-free when safety allows. The TERMINATOR comes with two articulating magic arms for your accessories, along with three screws and an Allen wrench to attach the two arm sections. Box Dimensions (LxWxH) 8.5 x 7.7 x 1.95"
TERMINATOR Handle with Shoulder Strap for DJI Ronin-S is rated 3.7 out of 5 by 3. Rated 5 out of 5 by Leonard from Save my arm! I used the strap mounting clamp while traveling and it delivered as promised. The extra handle along with strap took the majority of the weight off of my arms and still allowed for maximum movement of my Ronin S.
Rated 1 out of 5 by Chris from Cheap Product Cheap, plastic feel to most of the parts. The connection from the handle to the part that connects to the gimbal is the worst part. Gets loose easy. Do they have a version for the moza 2 ? Will they be doing a version for the Zhiyun Crane 2?